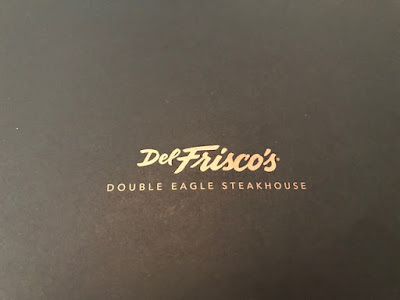 Went to Del Frisco's for a business lunch. I kept forgetting that they have a business lunch menu. 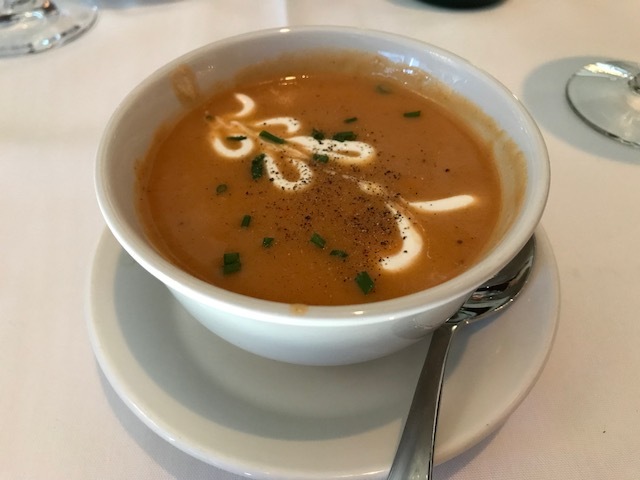 To start, I got the lobster bisque, which has creme fraiche and sherry, and you can taste them, let me tell you. Luckily, lunch was with the boss, won't get into trouble. Got the steak salad for my entree. 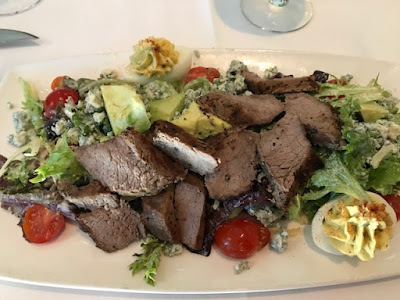 It came with deviled eggs, steak cooked to your order, parmesan cheese, blue cheese, avocado, bits of bacon, on top of a bed of lettuce and spring mix. Trust me, it was super delicious, but it is also a lot of food too, ended up taking more than half of it home for a second meal. Service is always top notch here. Lunch time for the upstairs is less busy than downstairs, but I like the special attention they paid to diners upstairs. 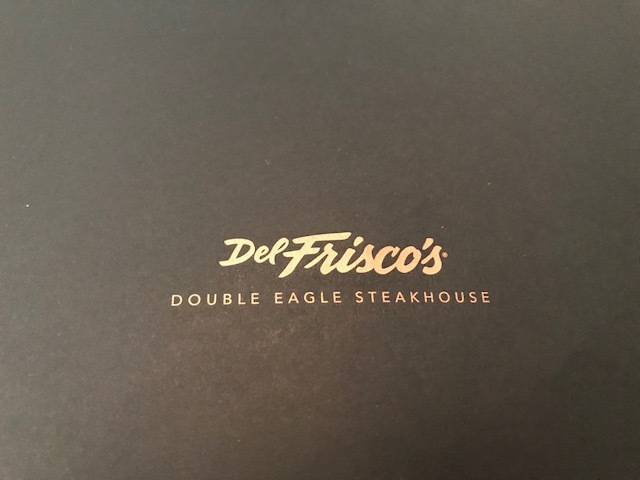 Of course, food is awesome, overall great experience every time I come here. Even though lunch time is not super busy, but a reservation is still recommended. Mostly in case the office workers come here to celebrate any occasions and crowded the place like normal.